A-V is proud to present, at long last, Jaka's Story, the Remastered Edition, fully-restored page-by-page from the original art boards. 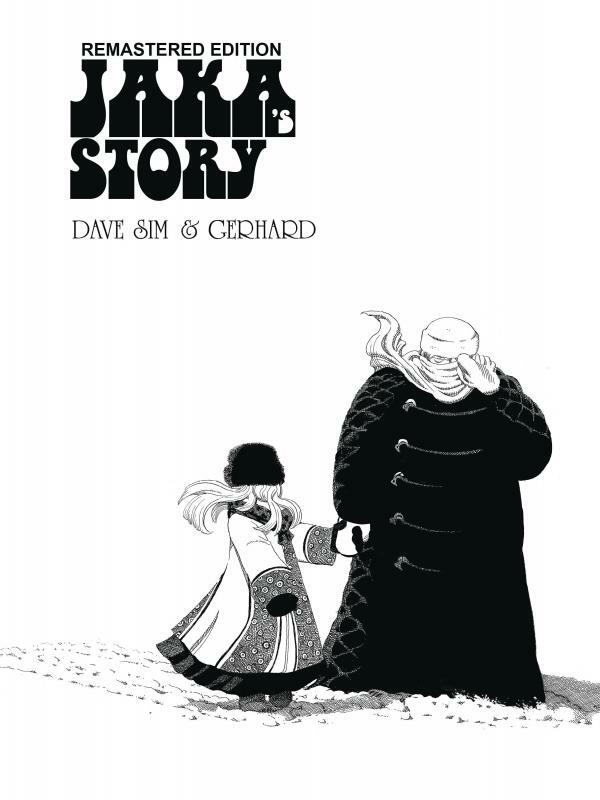 To celebrate this event, this edition will be signed-and-numbered by writer/cartoonist Dave Sim (limited to the amount of copies of the initial Diamond order). 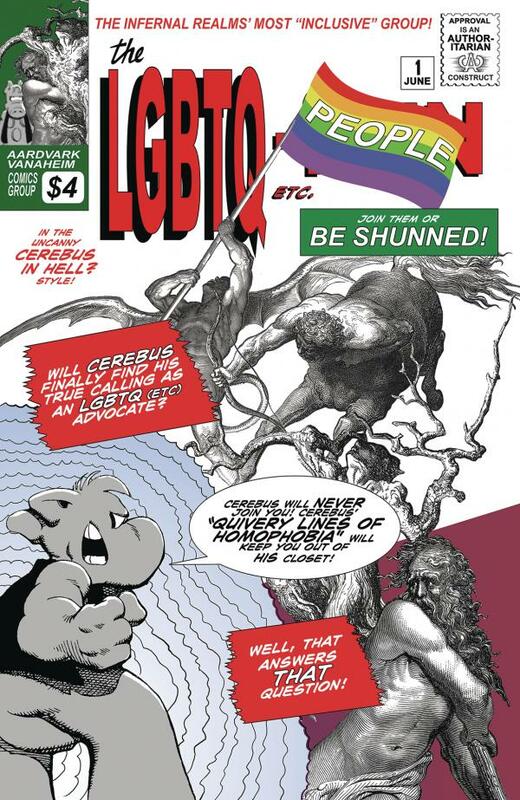 Jaka's Story, the fifth volume of the Cerebus series, represents a point of departure for the series, focusing as it does on a small cast of characters, living out their lives in orbital, Thoreau-like "quiet desperation", drawn ever inward, until at last, they inevitably collide. This new edition, painstakingly restored and printed on acid-free paper with a durable sewn binding, reveals astounding detail never before present outside of the original art itself. This volume also includes eight brand-new pages of extras, including a 6,000-word essay by restorer and critic Sean Michael Robinson, discussing the background and "secret origins" of the book, providing historical context for a whole new generation of readers.